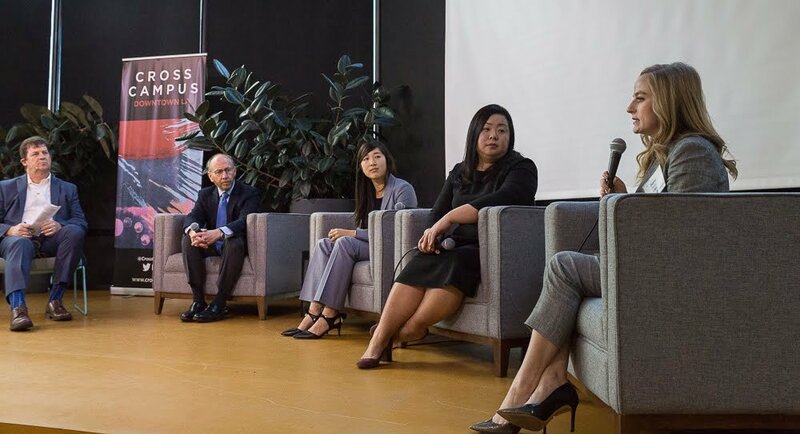 On February 6th, the LAEDC hosted our latest Future Forum, at Cross Campus Downtown LA, where we took a deeper dive into what 2030 might look like. What does the future hold for our massive aging global population? Here are the latest workforce innovations and the big takeaways you missed. Historically, California’s state universities have made significant progress in improving access and completion rates. Collectively they would like to go one step further says Dr. Michael Spagna, Provost, Cal State Dominguez Hills. Increasing the availability of programs and curriculum for adults is vital. However, our state’s schools are starting to emphasize an equally important message for future graduates: maintaining their versatility as they progress through their career. Ideally, over the next few years, the largest four-year public university system in the United States will not only increase the resources available for adults but also enlist and sense of comfort with students that they will be welcomed back to continue their educational journey at any age. Encouraging students to embrace their role as life-long learners in society will hopefully foster a better foundation for supporting graduates as they age. What will our future workforce look like? 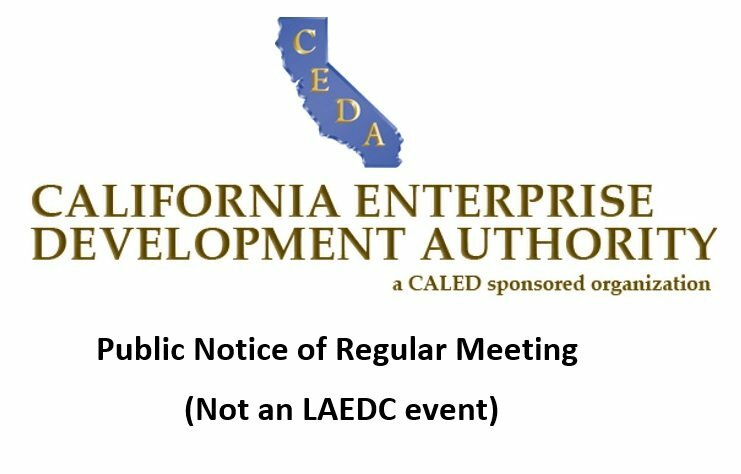 Attendees taking in a presentation from PricewaterhouseCoopers during LAEDC’s latest Future Forum. The morning’s featured speaker presented PwC, was Ken Lund, Managing Director, PricewaterhouseCoopers who helped paint a picture of what the year 2030 might look like and where we all fit in. While we can identify global megatrends, we can’t necessarily predict with great certainty how those trends will play out. Instead, Lund illustrated a vision of corporate transformation — how can businesses position themselves to be sufficiently agile and prepared for multiple scenarios in the future of work. “Which scenario are you most prepared for?” asked Lund as he displayed four hypothetical “worlds of work” in 2030. Each scenario emphasized a different focus from innovation focused green economies to corporate dominance and everything. “I think we can all envision ourselves in each of these four worlds,” said Lund, but encouraged those in attendance to focus their efforts today on actionable issues like “digital skill development, corporate wellness and improving our employee’s experience” to ensure we’re not just anticipating the future, we’re prepared for each and every scenario it could present. Ken’s presentation available to download here! Every day 10,000 more Americans celebrate their 65th birthday. An acclaimed author, advisor to our nation’s top universities, business and non-profit organizations, and Chairman of the Milken Institue Center for the Future of Aging, Paul Irving is one of the nation’s foremost thought leaders on the topic of aging. Irving’s presentation further emphasized why his opinions are in-demand applicable to so many different groups. A tightly woven blend of statistics, challenges, and solutions, Irving provided a comprehensive yet uncomplicated overview. The full presentation is available here to download! 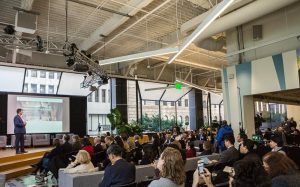 Leading innovation in their respective industries, Kelly Cheng of Honor and Diana Nialis of CBRE gave the audience an inside look at how the home care and real estate industry are preparing for the future. Honor, a pioneering national home care network, has combined multiple agencies nation-wide with innovative technology to drastically improve the aging in place process which according to the AARP is preferred by nine of ten Americans over the age of 65. Screening caregivers to match to patients based on their experience, providing real-time updates on caregiver arrival time, web-based charting for families and fellow staff to review are just a few of the revolutionary practices introduced by Honor to bring home care into the 21st century. “Many of those working as caregivers are making close to minimum wage, how is Honor able to address that?, asked one of the audience members during the open Q&A portion. “We take pride in the incentives we have built into our model which allows employees a clearer path to higher pay and more responsibility,” said Kelly Cheng, Head of New Markets and Development with Honor. Coincidentally, one of the top commercial real estate firms in the nation, one who’s responsible for many of the major developments in LA over the next few years, is also interested in improving access for us all to age in place. “It is our responsibility in Real Este to create solutions to aging. How can we combine a healthcare component to housing that can provide a level of comfort for those who want to age in place? Where can we create housing options for the elderly that have proximity to friends, family, and the health care services they need,” said Dana Nialis, Senior Associate, CBRE.